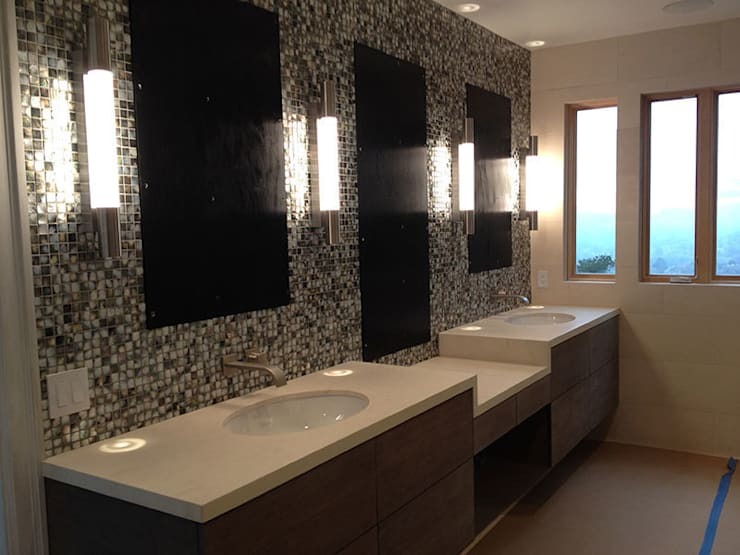 This project completed in April 2014 is a bathroom renovation in Kentfield, California, USA. 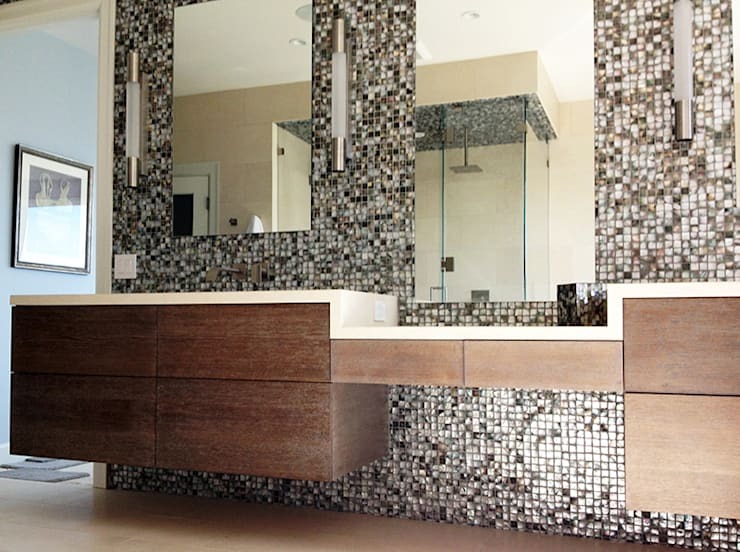 The product use is a 20mm Mesh-Joint Black Lip Mother of Pearl Mosaic. ["CL"] [Published] Para la casa: 18 Ideas para revestir las paredes ¡Súper fácil! ["BR"] [Published] 10 armários certos para o seu banheiro! ["CO"] [Published] Ideas para revestir tus paredes ¡nunca más se verán aburridas! ["ES"] [Published] 17 revestimientos para hacer tus paredes sean ¡preciosas! ["IN"] [Published] 17 modern ideas that will make your walls look beautiful! ["BR"] [Published] 17 revestimentos para que as paredes fiquem mais charmosas! ["US"] [Published] 17 easy and affordable covering ideas that will make your wall look beautiful! ["PE"] [Published] 17 revestimientos para que tus paredes luzcan ¡hermosas! ["NL"] [Published] 20 voorbeelden van muurbekleding die er prachtig uitziet! ["IT"] [Published] 17 idee di rivestimento che impreziosiranno le tue pareti! 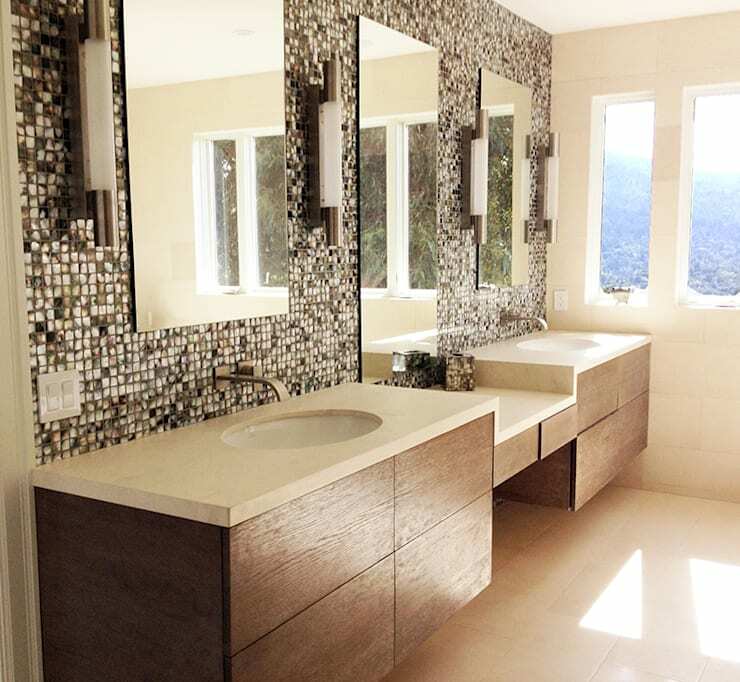 ["CA"] [Published] Which style should I choose for my bathroom? ["DE"] [Published] Welcher Stil passt zu meinem Badezimmer? ["FR"] [Published] 17 idées pour vos murs qui vont impressionner tout le monde ! ["MX"] [Published] 17 revestimientos para que tus paredes luzcan ¡hermosas!